to a great New Year. The challenge time ends at 9:00 p.m. Pacific sharp. Time for our Divas to post some last minute cards to thank our sponsors. Arlene has been itching to use a sentiment, so here is her card. See info here. Cathie thought this little girl looked gorgeous. 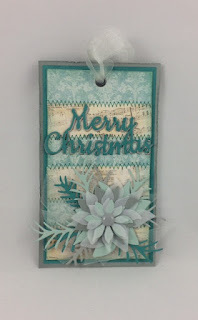 Once I coloured the image, I used a spellbinder label die to cut it out and while the die was still in place, I did some sponging with Tumbled Glass distress ink. I cut the cut down to a smaller sized one and made an envelope to fit it. Loving all the beautiful entries this month. Thanks to every one for taking part in our challenges. My first card is created with the digi stamp Heart Bunny. I like calling her honey bunny. 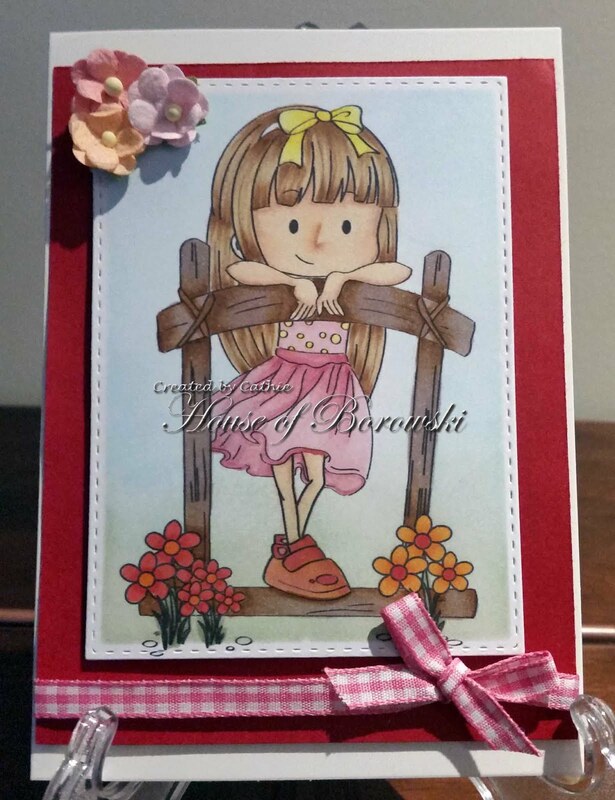 I couldn't help but dress her in pink and add a wonderful embossed background which a fellow stamper sent me with her Christmas card. 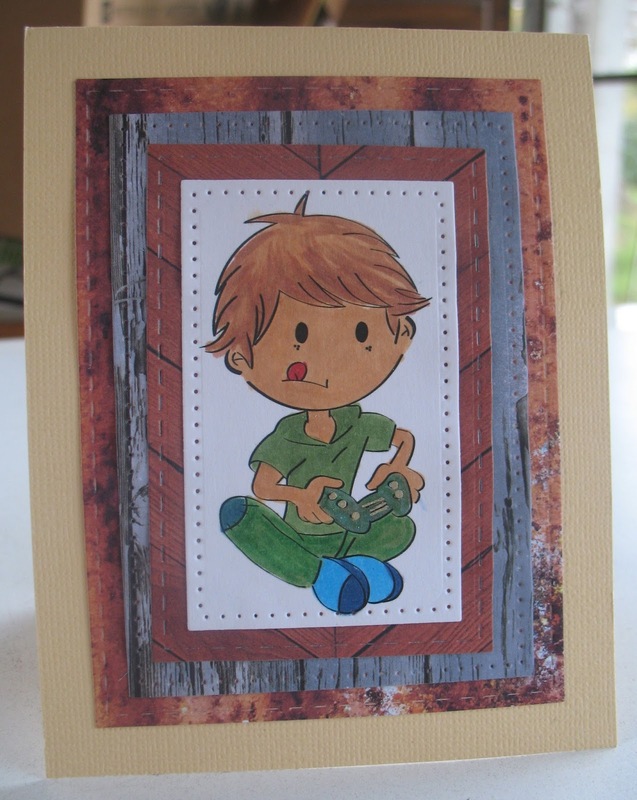 I focus on Gamer Shy digi stamp and created a cute gamer guy card (tongue sticking out and everything). You can send this to your gamer guy friends. Today I am sharing a card I created for a gorgeous little boy who reached the big 1 this week. I thought this Sasayaki Glitter image was perfect for the task. Elizabeth Craft Designs Accordion Rectangle Pop It Ups for the heart. My name is Monika. I come from Poland. I live in a small village near Lublin. Privately I'm a wife and mother of two urchins. In my spare time I love to craft. My passion is to create my own handmade creations. I am very happy that I can inspire you for this wonderful blog. I prepared a cards for twins, celebrate their second birthday. 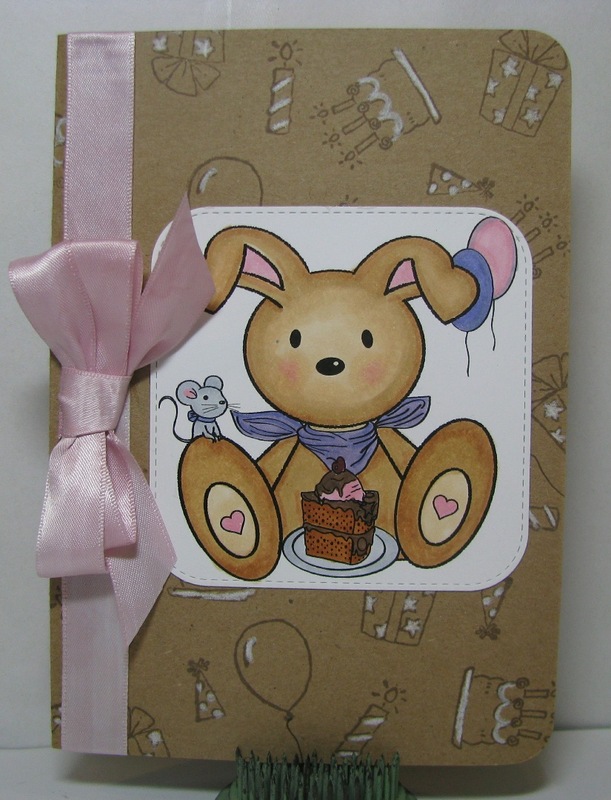 "Heart Bunny" and "Happy Birthday Bunny"
Come and join in to fun and make some Sentiment Free projects!! Looking forward to see your creations in the challenge gallery! Crafts has always accompanied me. It started with crochet and cross-stitch. My grandmother taught me that. Then came other fields of handicrafts. Cards doing for several years and I really like it. Hello all, can you believe January is already half through?! It'll be Valentine's Day before we know it and here is the start of my Valentine cards. To see all the info about my card visit my blog at Monica's Craft Corner. 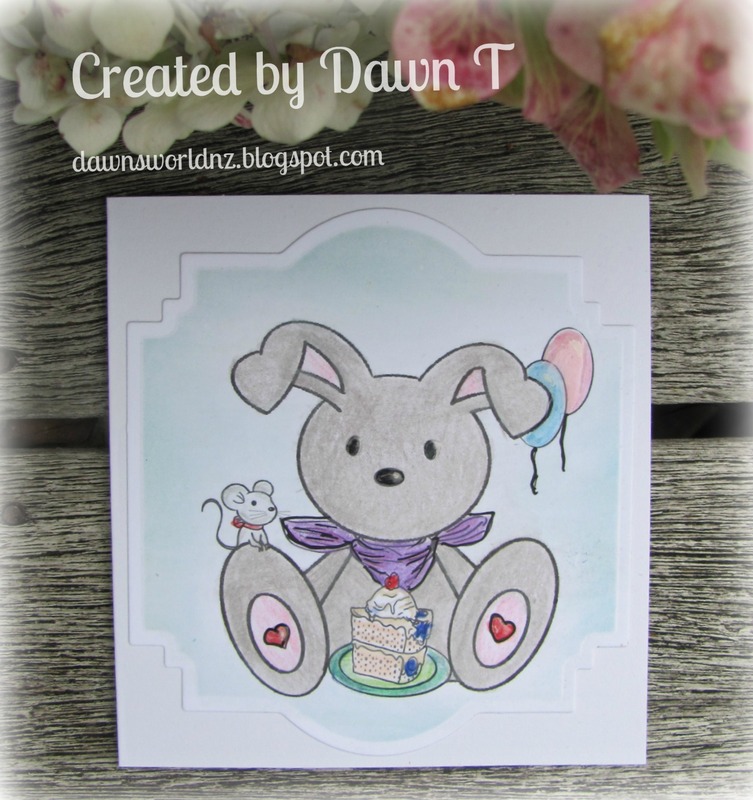 The Heart Bunny image is colored with coloring pencils. 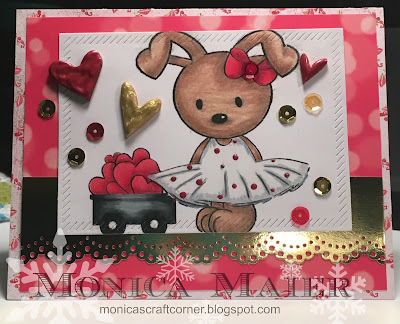 I added dots of glitter to her dress, and a golden glitter heart to her cart full of hearts. 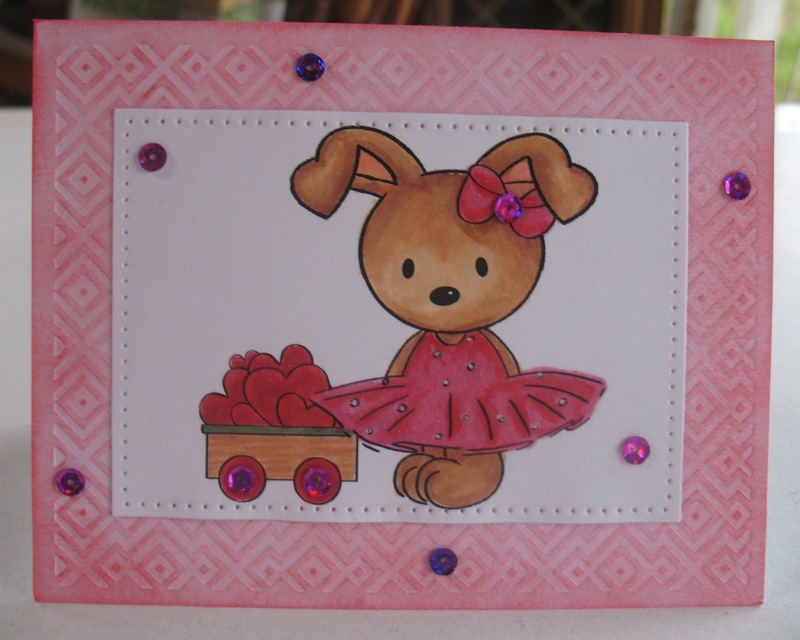 And to fill up some space in the background I added a larger heart die cut in a softer tone. 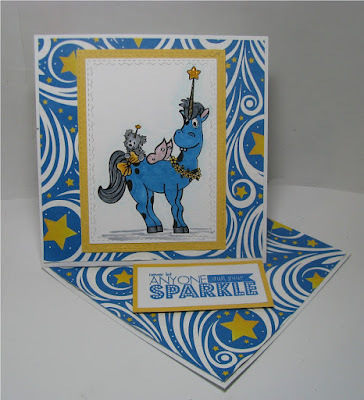 Our sponsor this month is Sasayaki Glitter Digital Stamps. and remember challenge theme is Sentiment Free. Hi everyone, Cathie here with some more Sentiment Free inspiration. Well I know Christmas is all done and dusted but I will admit, I was a little bit late in sending mine out. Here is one I created using this great Sasayaki Glitter image. 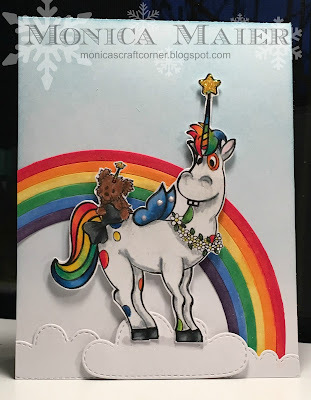 Labels: Sasayaki Glitter Digital Stamps. 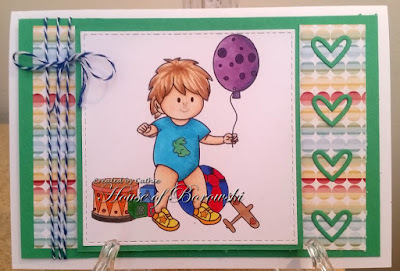 This month's challenge theme is Sentiment Free, and our sponsor is Sasayaki Glitter Digital Stamps. 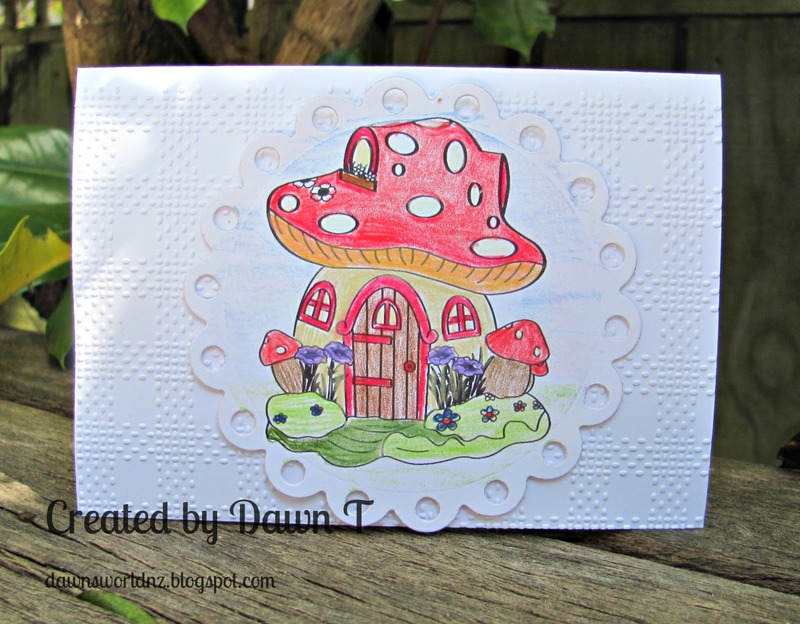 Dawn here to share my card with you today. 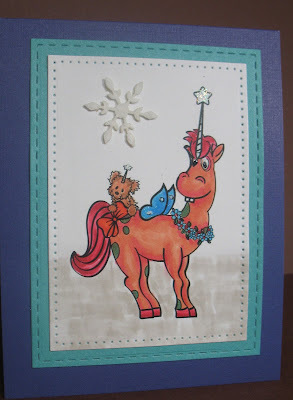 I used Spellbinders Rectangle dies - plain and scalloped for the image. Added some PP and a mat and then added to my card base. Such a fun image. Cindy here to share my first post on Die Cut Divas' for 2017!! I colored my Spotty and Pup Digital Stamp with coloring pencils, trimmed and let him roam free among some die cut glittered clouds. Here's a close up so you see the glittery clouds. 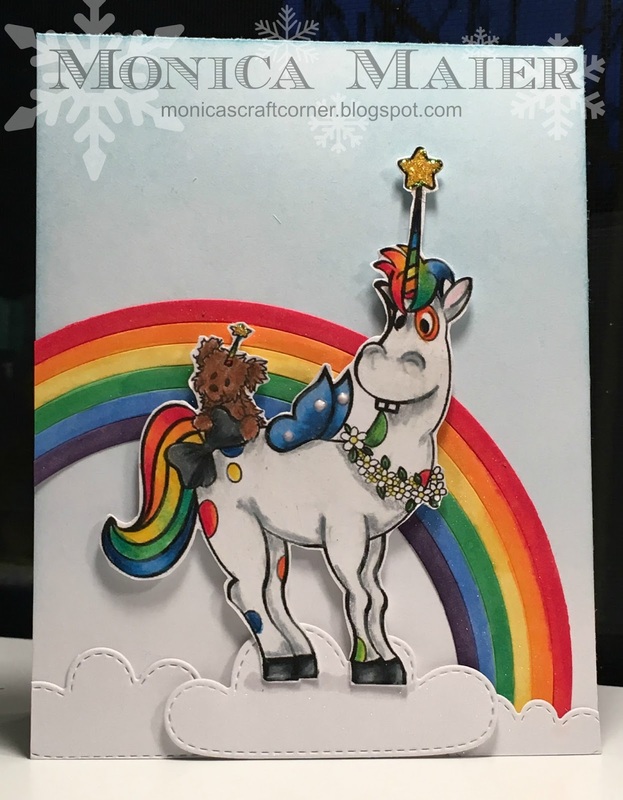 Monica here today to share a card featuring our sponsor Sasayaki Glitter. Please forgive me for continuing with a Christmas card, but it's never to early to get started! Interested in learning more about the card please visit my Monica's Craft Corner. Arlene's sample seems a bit improbable and maybe so, but see supplies and rambling here. 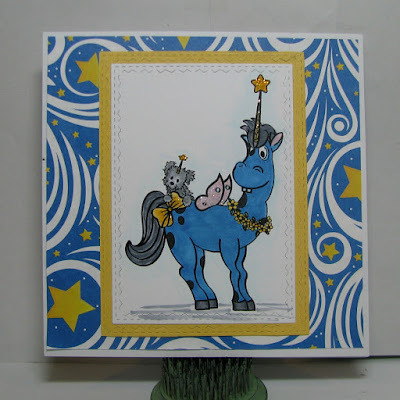 Here at Die Cut Diva's, Sasayaki Glitter is our sponsor for January, a great start to the New Year. 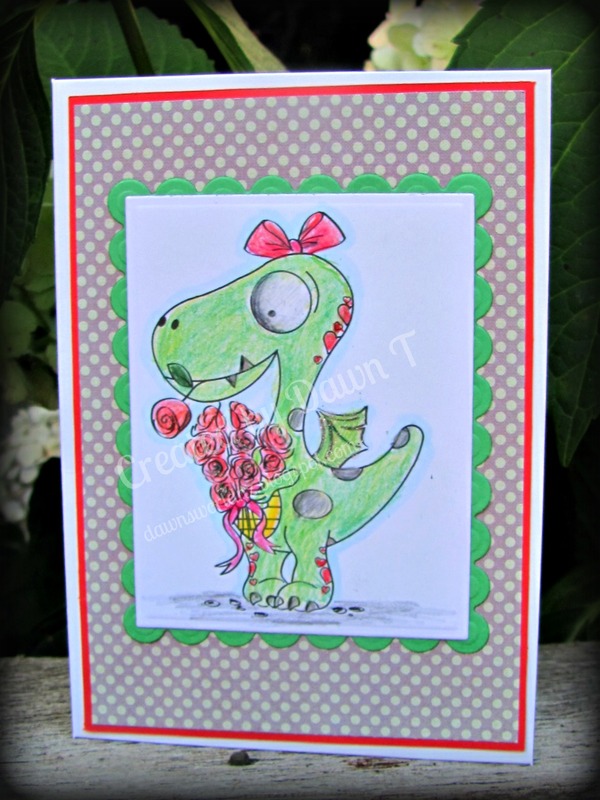 and when you open it, it becomes an easel card with a sentiment for the stopper! I used the super cute image Spotty and Pup (Sasayaki Glitter), and colored with Copics. 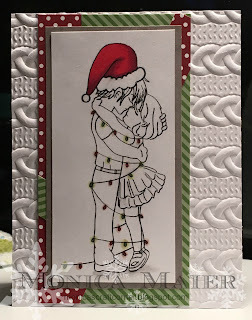 The dies I used are the Stitched Rectangles from Sizzix /Tim Holtz, and Stitched Rectangles from My Favorite Things for white cardstock above sentiment behind easel. I like to have a place to write! Thank you for visiting, and you can get more info here. 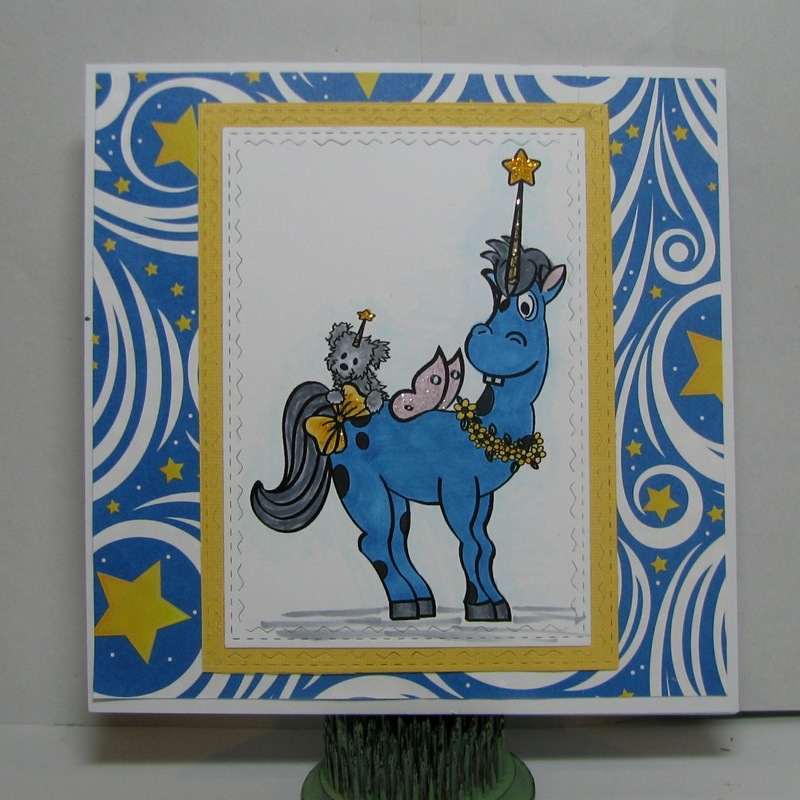 The winner for the Die Cut Divas' challenge is lucky number 55. Arlene Thought # 126 Stempelomis Bastelkeller (Beate) was beautifully done. So difficult to choose one. 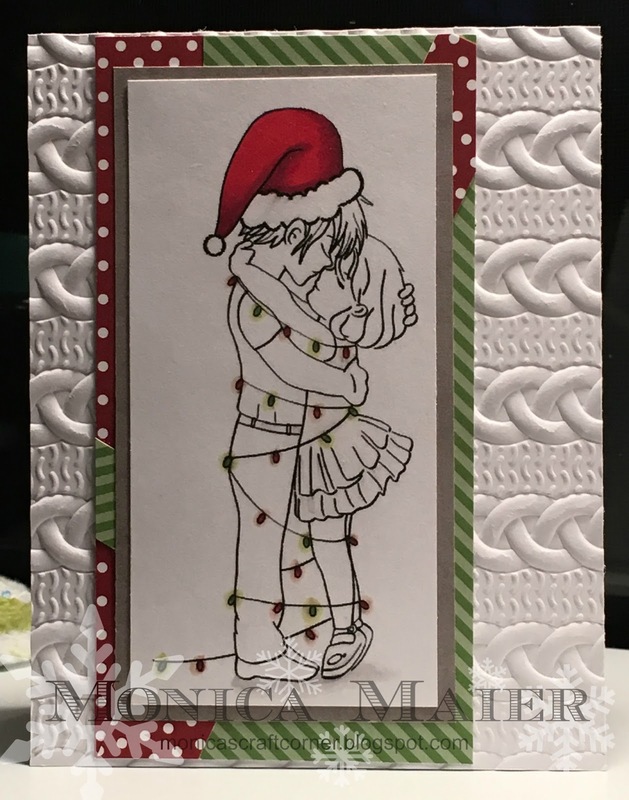 Cindy's favorite is #104 Lisa's, her layered 3D bridal show card is really impressive. Michelle's pick is Zelda's wonderful tag-such lovely colors and layers! Be sure to join the current challenge-No sentiments! Sasayaki Glitter Sponsors Die Cut Divas. Below, you'll find some DT examples of the challenge. Arlene really liked this simple fresh image and used more muted colors on her. 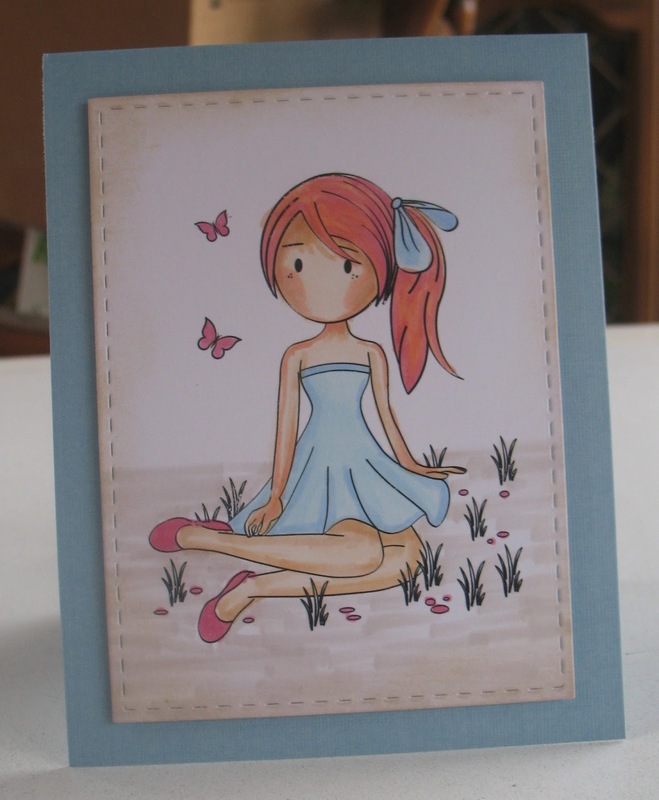 Arlene simple card is on her blog at A Bit of This and That. For more information on the materials, you can visit her here. 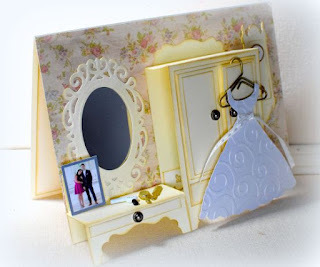 Remember that you must use your die cutting machine on your project and only 4 entries per person.